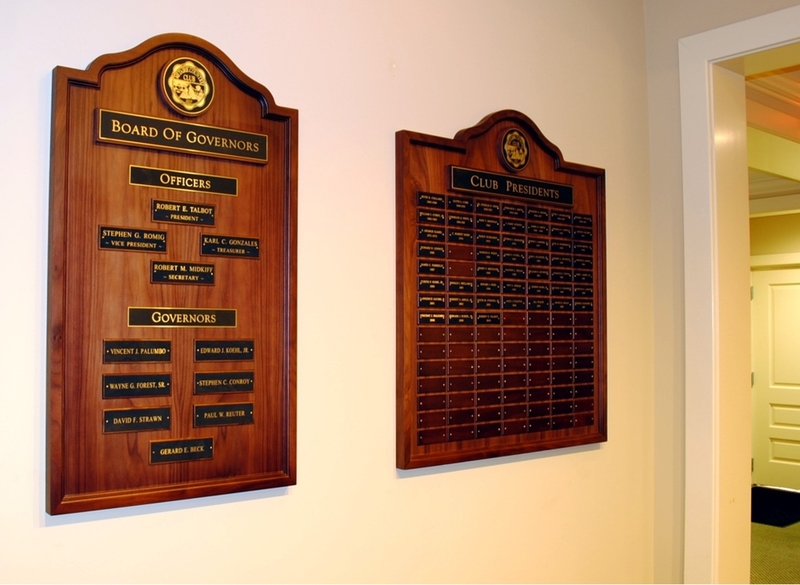 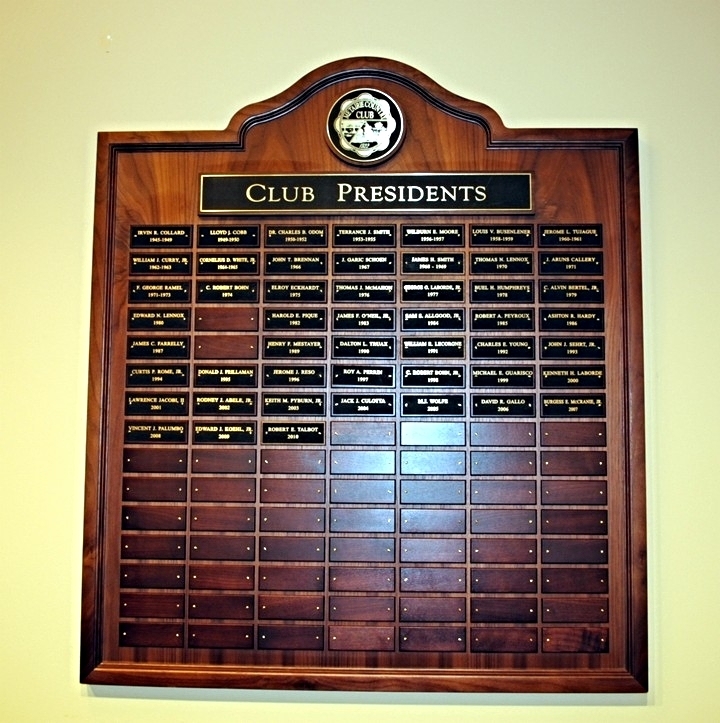 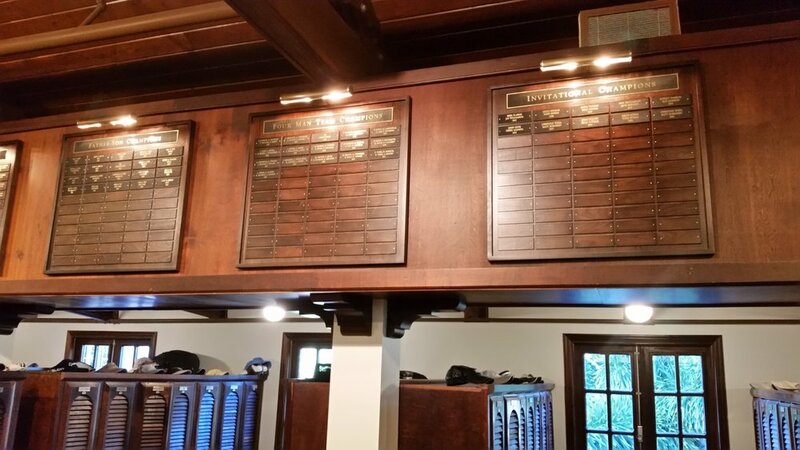 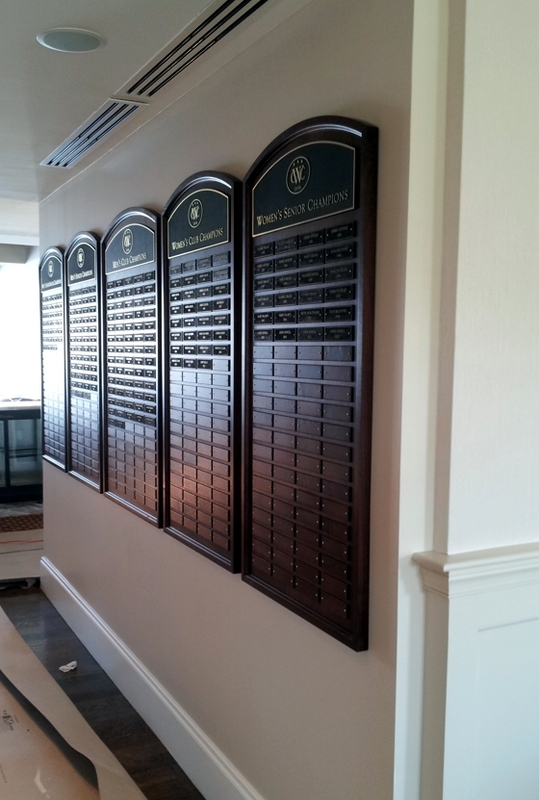 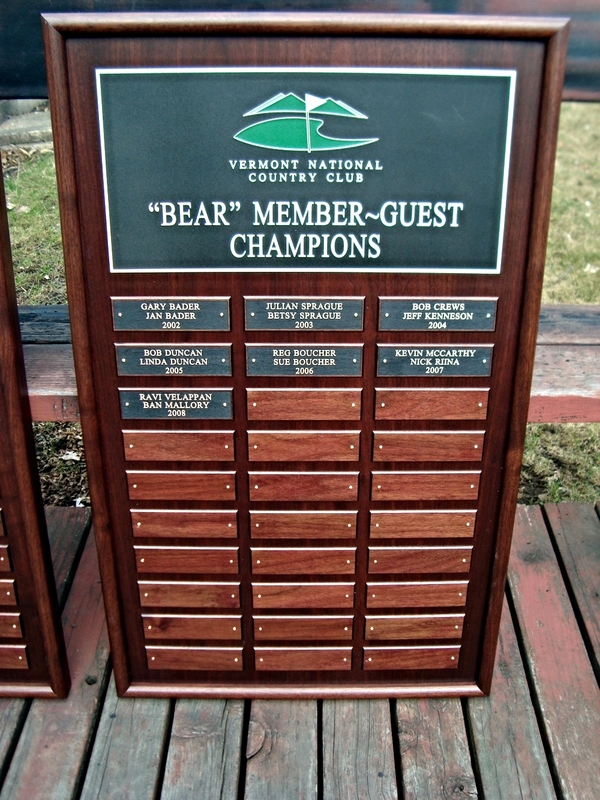 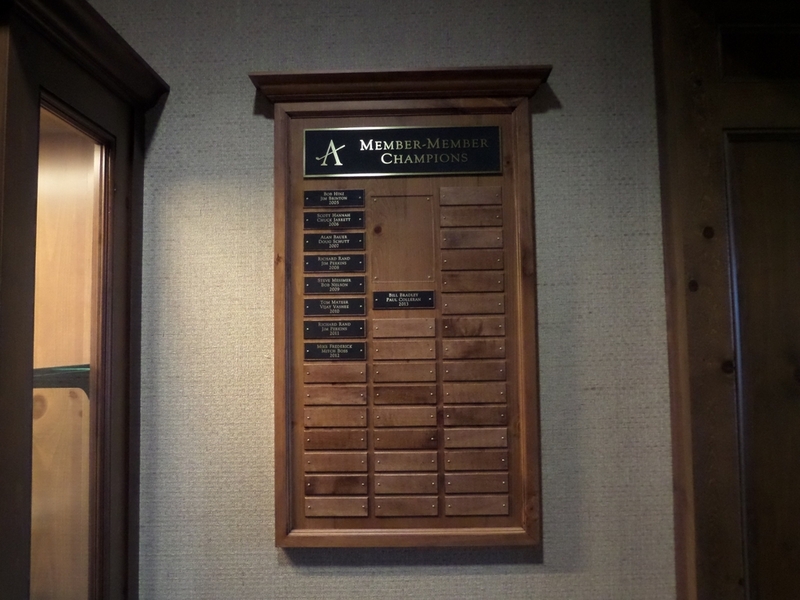 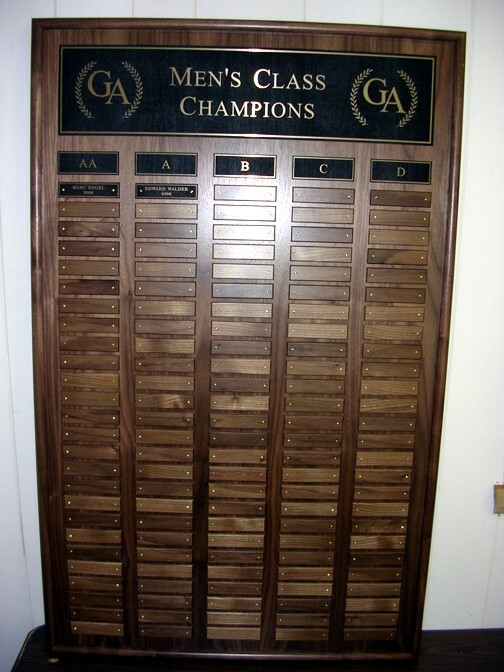 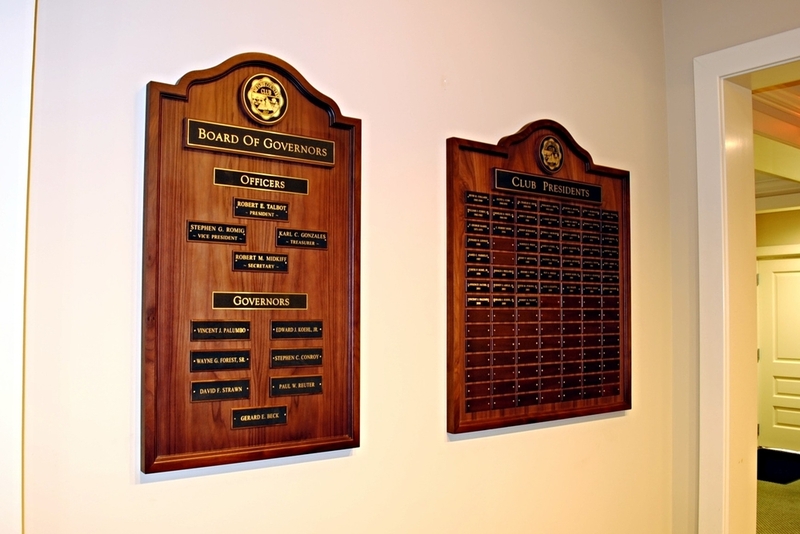 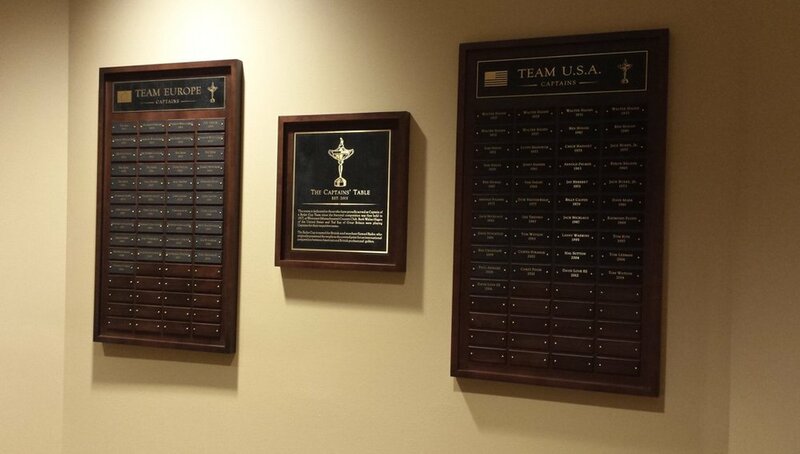 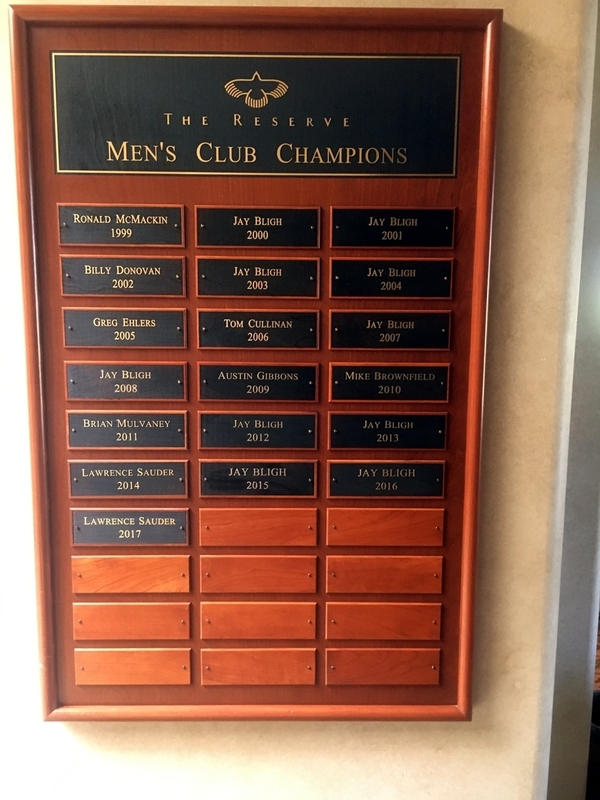 Teemark specializes in custom design and manufacture of Perpetual Plaques and Trophy Boards. 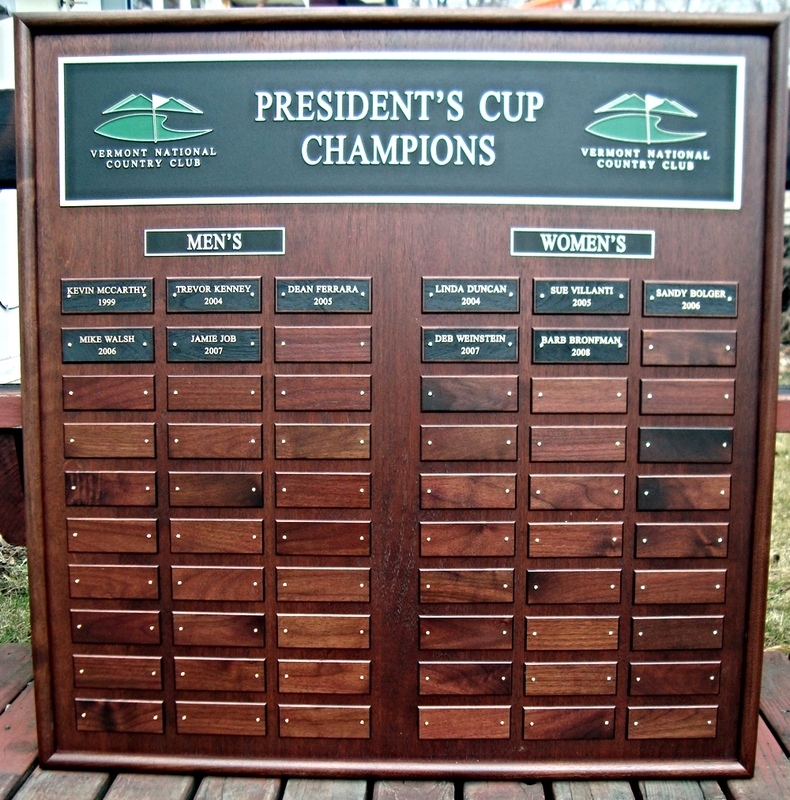 Teemark will work with each event's history, your clubhouse decor and wall space, and your budget to create perpetual plaques & tournament boards that are perfect for your unique events & traditions. 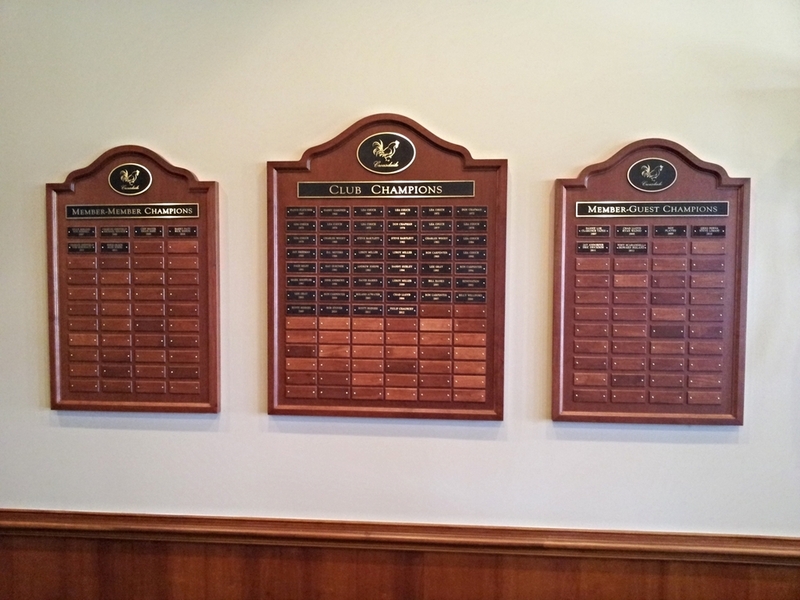 Our perpetual plaques are designed to fit uniquely into each customer's specific bulding. 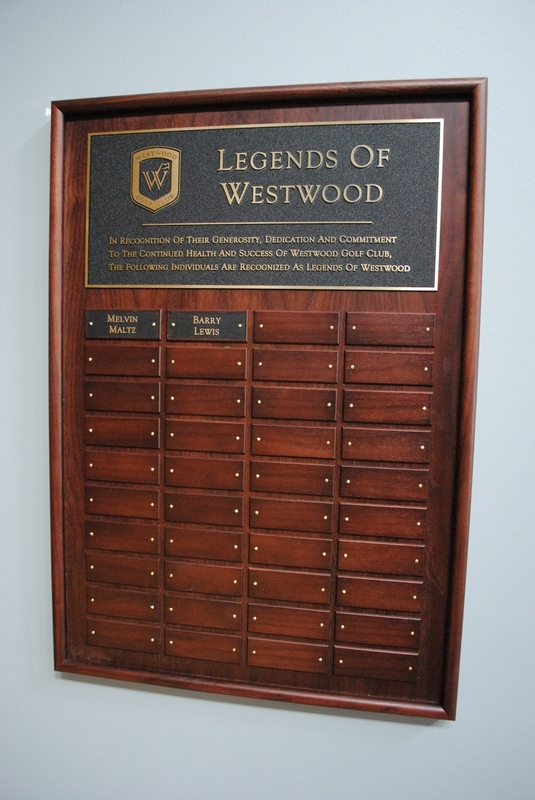 While we work with a number of standard templates, Teemark will customize plate size, capacity, stain color, shape, size, header style, and font treatments to design plaques that best promote your specific identity. 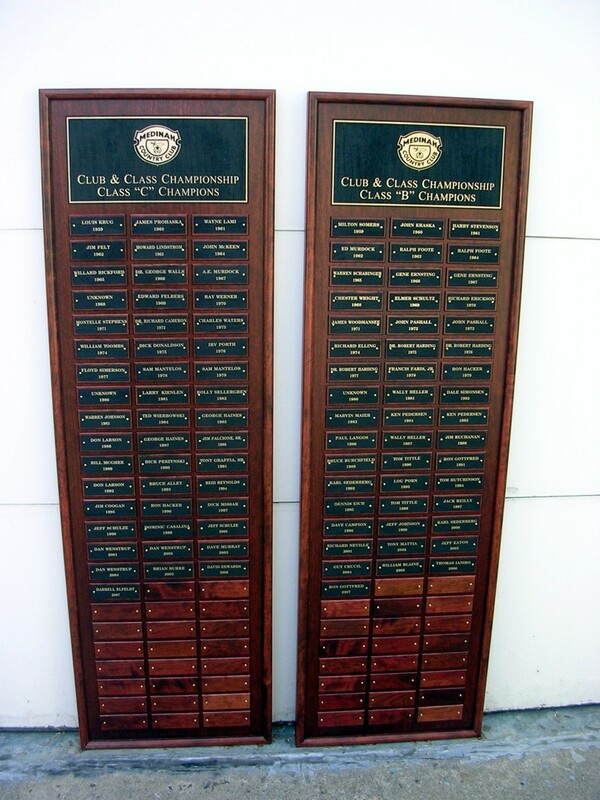 As no two clubs' needs are the same, each plaque is designed individually to each customer's specifications. 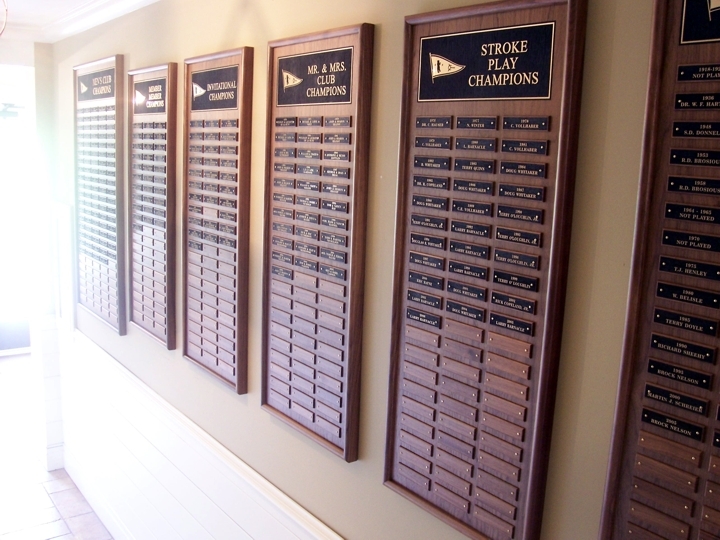 Teemark nameplates are most commonly constructed of solid woods stained to match the perpetual plaque. 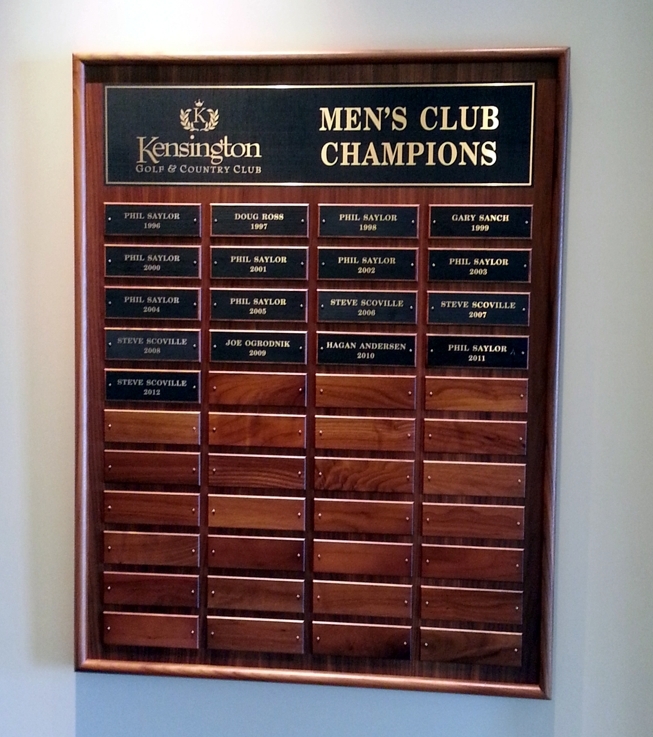 These plates are laser engraved to reveal raised gold lettering over a black, hand-painted, wood-grain background. 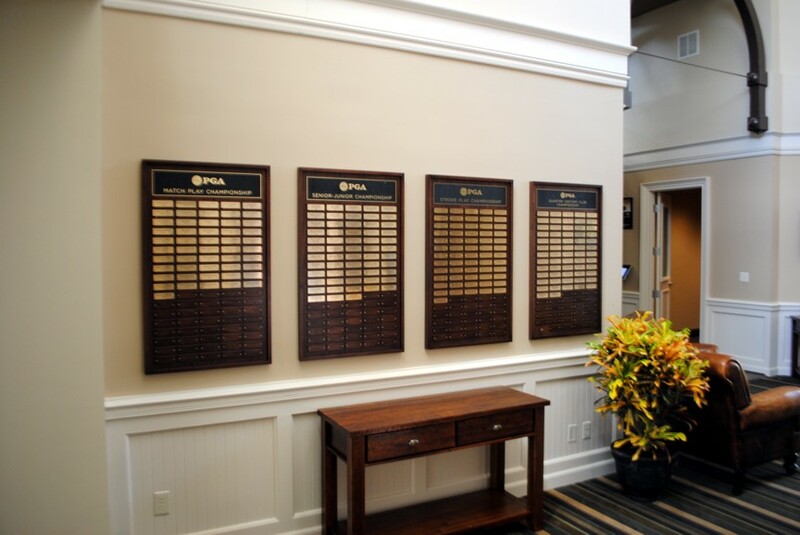 The look is rich, legible, and guaranteed to match the existing plates on your plaque with the addition of each new name. 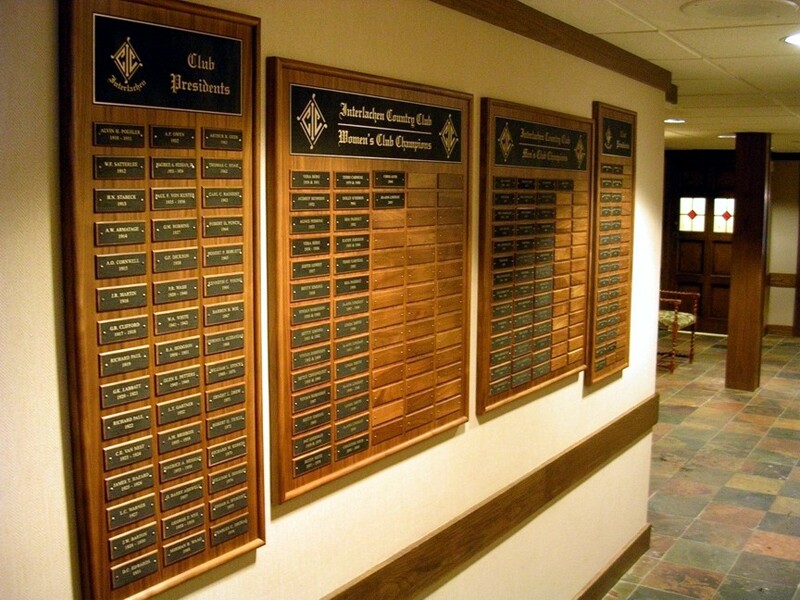 At the end of your plaque's life, the names will all look as if they were engraved at the same time as part of the same order. 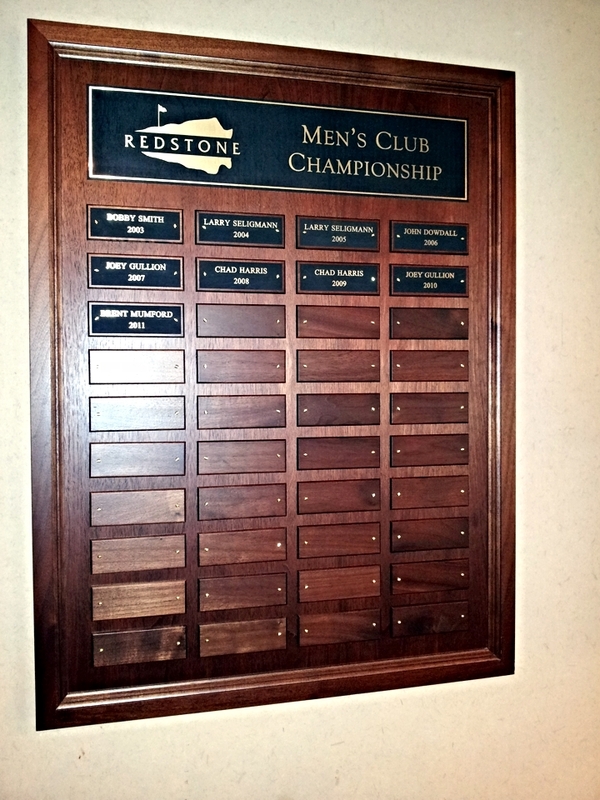 With the help of our customers, we have put together a wide sampling of some of our perpetual plaques and tournament boards. 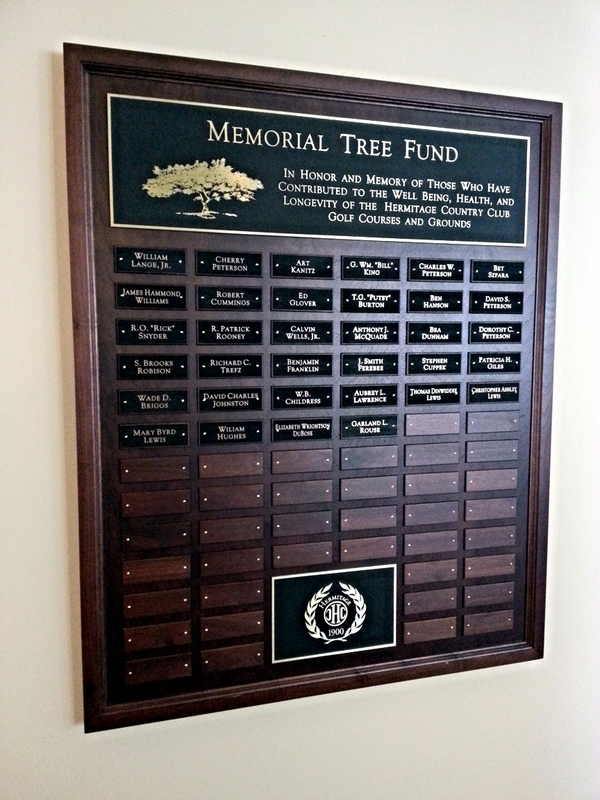 Please click on a specific image to learn more.